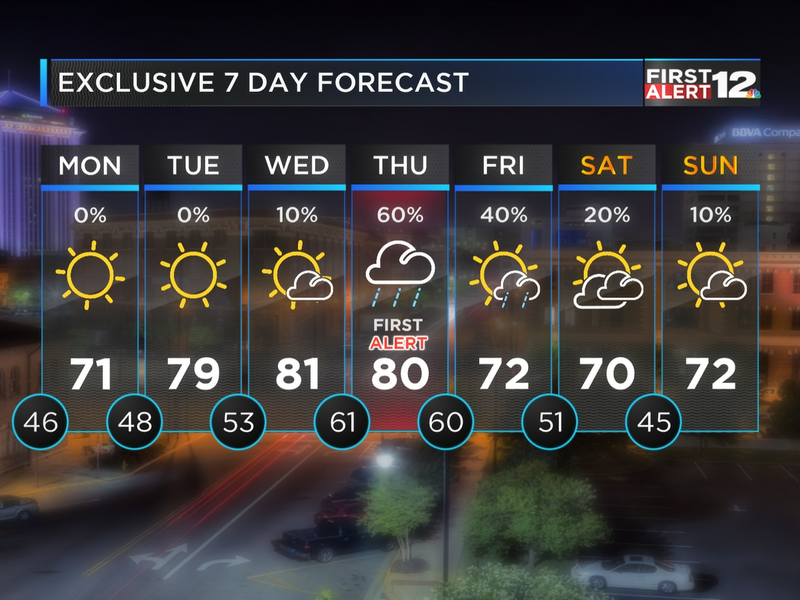 Perfect Spring weather continues for the next few days across Alabama. A clear, cool night is underway; we’ll bottom out in the upper 40s by sunrise Tuesday. Expect sunny, comfortable weather tomorrow, with a light breeze and temperatures soaring into the upper 70s to lower 80s. More nice weather is in the cards for Wednesday, with temperatures in the lower 80s and more sun than clouds. 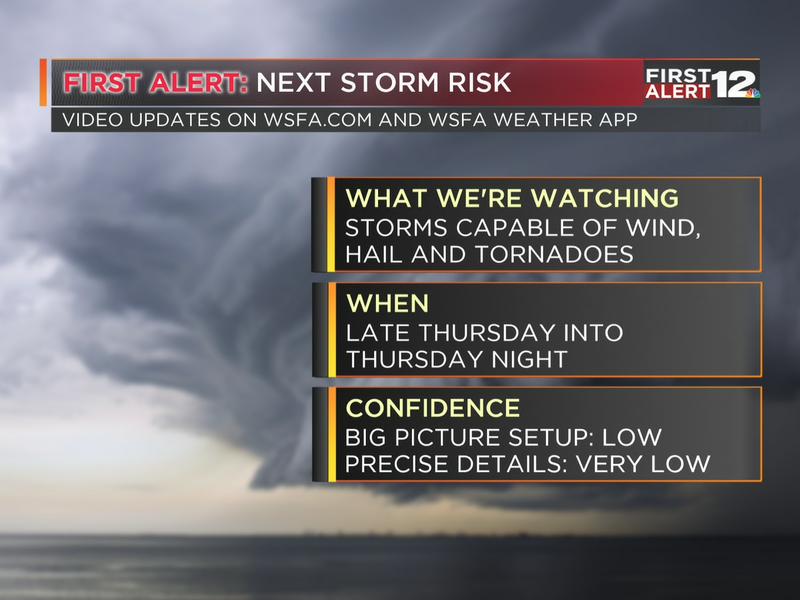 A potent storm system rolls towards Alabama on Thursday and Thursday night, bringing a risk of damaging thunderstorms and severe weather to Alabama. Click HERE for our full-length discussion on Thursday night’s storm risk.